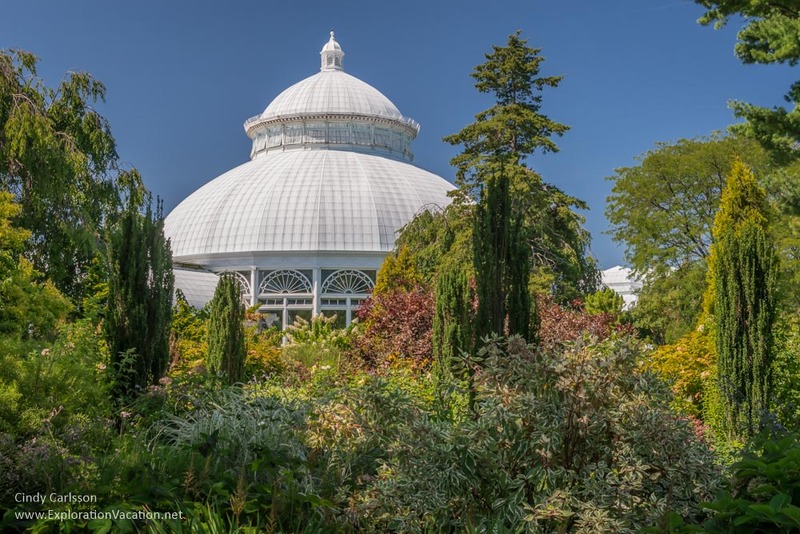 In the heart of the Bronx, far beyond the skyscrapers of Manhattan, the New York Botanical Garden offers 250 acres of old growth forest, manicured lawns, and gardens – all built around a glorious Victorian conservatory. 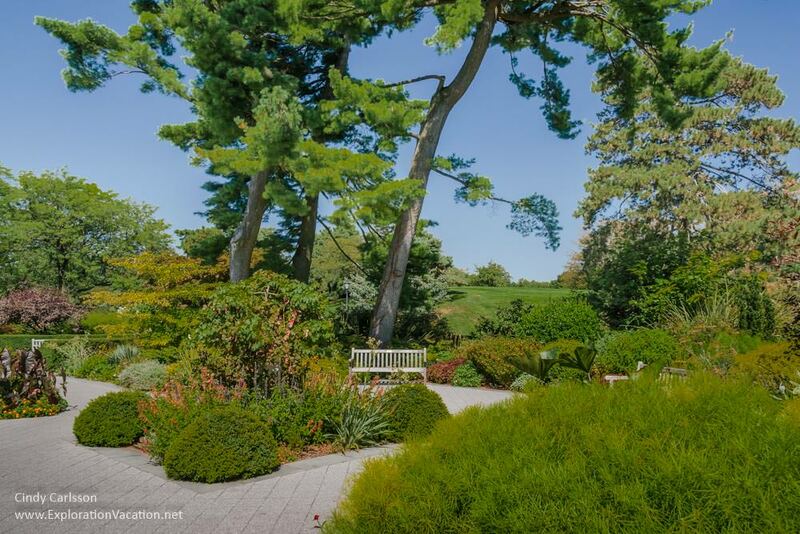 It is a beautiful place to wander, with a rock garden, rose garden, azalea glen, conifer garden, and more. It was a hot sunny day when we visited, so we got a quick overview of some of the gardens via the narrated tram tour. I took a longer and closer look at the lovely gardens leading to the conservatory. These feature a mix of perennials and, as you wander through them, they frame the miniature courtyards and the conservatory’s dome. That conservatory, the Enid A. Haupt Conservatory, is the largest Victorian-era glasshouse in the USA and the heart of the garden. The conservatory is huge, with wings that house plants from around the world. The Botanical Garden is presenting a Frida Kahlo show during our visit and, while the show is spread throughout the garden, one of the more dramatic features is housed in the conservatory. Here, within the delicate glass walls of the Victorian-era conservatory, visitors can find a bit of the dramatic garden Kahlo created at her Blue House in Mexico City. The Kahlo-inspired garden is bold and colorful, but I’m drawn back outside by the amazing lily pond that sits within the conservatory’s wings. While I’m most intrigued by the heavenly colors of the tropical lilies and lotus blossoms, it’s also fun to find lilies like those I grow in my garden at home! The Kahlo show spills outdoors here too, with a regal line of cacti in a blue planter. For those interested in seeing a bit of Kahlo’s artwork, the botanical garden is hosting a small exhibition in the art gallery at the Mertz Library. These are largely works with botanical themes, several of which were new to me. It’s a nice blend of art and gardening. The New York Botanical Garden is open most days and is beautiful at any time; I suspect though that it would be stunning in spring. The Frida Kahlo show continues through November 1, 2015, and is included in the general admission fee for the garden. A free tram connects major segments of the garden (but is a little weird to catch if you start your visit at the library). The garden itself can be easily reached via transit. Not enough flowers for your Friday? Check out Floral Friday Fotos for great floral images from around the world. ← Previous Previous post: It’s World Rhinoceros Day! What a gorgeous garden! I love the waterlilies. It is a lovely spot and the waterlilies were my favorite – there will be more pictures of those coming.Thanks for stopping by! A place of great beauty. The blue waterlily…. Would love to go there sometime! Those blue ones are all tropicals – I’ve grown a few, but they are so hard to carry over the winter. I just love them and it was such a treat to see a whole pond full of them! I hope you get to these gardens some day! New York City is full of surprises. The Botanical Garden is located in the same area as the Bronx Zoo — between them there are many, many acres of green space and gardens! Gorgeous shots of this amazing place. Unfortunately, one of the places we didn’t visit in NYC. Many thanks for contributing to Floral Friday Fotos. There are so many wonderful places in NYC it’s hard to even begin to get to them all! Didn’t know about this place and all I can say is WOW. 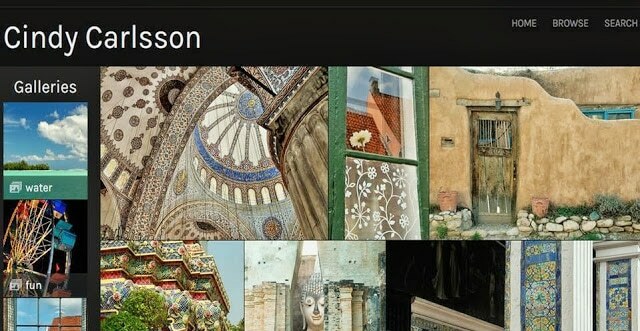 Your pictures are wonderful – especially love the blue doorway. Thanks, Leigh. It was really a fun place to shoot – lots of variety and all of it lovely!